Back in the day “gamers” were obsessive nerds who rarely left their mom’s basements and definitely didn’t know how to talk to girls. But times have changed. Today video games are more mainstream than ever. Gamers are bona fide celebrities with legions of adoring fans, just like pro athletes. Major eSports events regularly sell out entire stadiums, and top competitors earn millions of dollars in winnings and sponsorships. Now, according to Fortnite legend Ninja, the biggest gamers in the world can date Instagram models just like NBA or NFL players. 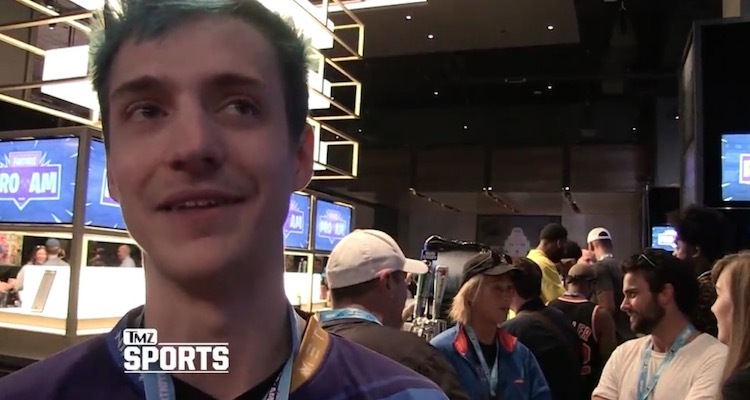 TMZ caught up with Ninja at this week’s Fortnite pro am at the E3 convention in Los Angeles. He said the old stereotypes about gamers being nerds are completely outdated. Donald Trump is President of the United States. Professional video game players are dating the hottest women on earth. It’s a strange new world we’re living in.